We'll visit a local fresh market before heading to Thailand's biggest Gong Village and learn how gongs are made. After that, we'll see beautiful scenery at various places including Pha Taem National Park, have Isan-style lunch at a floating restaurant, and discover the locally made cotton legacy. Arrive at Warinchumrap Fresh Market, where you can observe the morning life of the local people. The market sells both retail and wholesale products, including food and local stuff. Leave the market for the biggest Gong Village in Thailand. Visit the Gong Village. The villagers produce and sell gongs, bells, and drums all over Thailand and neighboring countries. Visit Wat Tham Khuha Sawan, a beautiful temple on the bank of Mekong River. Go to the viewpoint and see Khong Chiam area from above. Go to Pha Taem National Park, one of the most important national parks in Thailand with the Mushroom Rock and prehistoric paintings on the cliff. 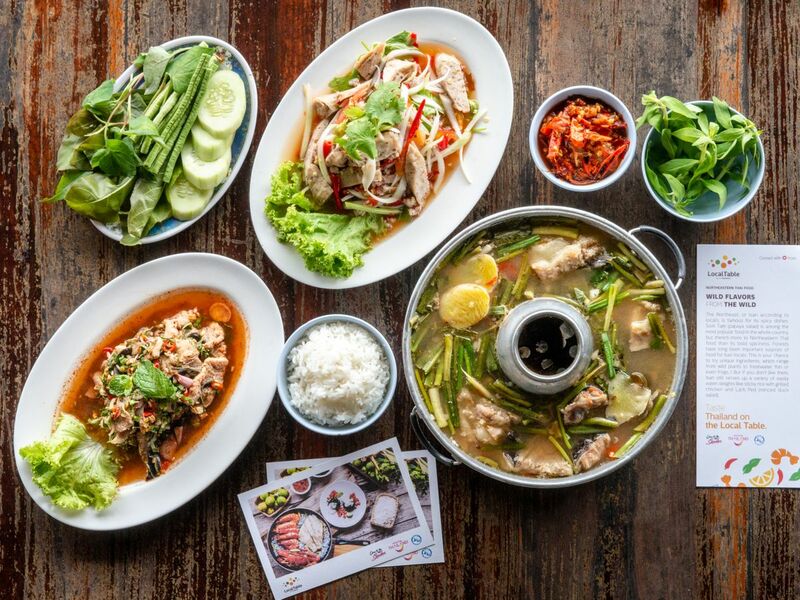 Enjoy authentic Northeastern-style lunch on the LocalTable and the atmosphere at a floating restaurant. See the two-colored river, where the Mun River and the Mekong River converge. Then head to Once upon a Time, the chic coffee shop that doubles as a cotton weaving center in Khong Chiam area. Leave Once upon a Time and go back to your hotel. My tour take you to the most highlight of Ubonratchathani, the places or activities you should not miss when you are here. It's also include the hidden place that the other tour do not put in their programme. The whole day was brilliant, was such a cool and unique experience! Bonus: the food was great!!! See the Story of Khon Kaen Through Temples and Historical Places!